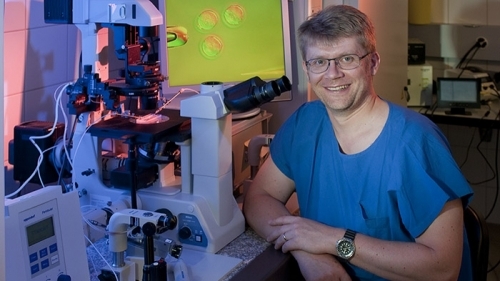 The 3Rs Committee of the International Society for Transgenic Technologies (ISTT) is delighted to announce the winner of the 2019 ISTT 3Rs Prize: Pawel Pelczar, Head of the Center for Transgenic Models at the University of Basel. Thanks to the 3Rs prize sponsor Janvier Labs, Pawel will receive free registration for the TT2019 meeting, a one-year membership to the society and a cash prize of US$ 500. The prize is awarded for the convincing presentation of a refinement that puts an end to the stressful single housing of vasectomised male stud mice by showing that their permanent co-housing with female mice does not impair the vasectomised stud male performance. Pawel will present the work, at the upcoming Transgenic Technology Meeting (TT2019) which will take place from April 7th to 10th in Kobe, Japan. The 3Rs committee felt this work is of broad practical relevance to many ISTT members whose implementation of this refinement could have a meaningful impact on the welfare of these animals. The approach taken by Pawel and colleagues demonstrates a genuine 3Rs mindset, giving consideration to the whole lifetime experience of the animals involved. This is consistent with the original intention expressed by Russell & Burch, rather than a more limited focus on purely procedural harms. The work also exemplifies the more contemporary view that animal welfare is no longer just about minimizing the potential for animals to experience pain, suffering distress or lasting harm. Animal welfare is also about working towards providing animals with a 'life worth living' that includes positive and/or rewarding experiences whenever possible. The 3Rs Committee, together with the ISTT board, would like to take this opportunity to thank Janvier Labs for sponsoring the 3Rs prize. We welcome this support and would like to commend the other ISTT members whose work was also under consideration for the prize. It is clear that the welfare of the animals we work with every day is very important to us all. 0 comments on "2019 ISTT 3Rs Awardee - Pawel Pelczar"